Your brand isn’t alone; it’s crowded by competitors all over the search engine. How you strategize your brand at the search engine would make a big difference. To begin with, you may want to keep yourself updated with the latest SEO Sydney trends followed in 2018. You may want to understand that Google works all around the clock, just so that they can improve the search results for their readers. 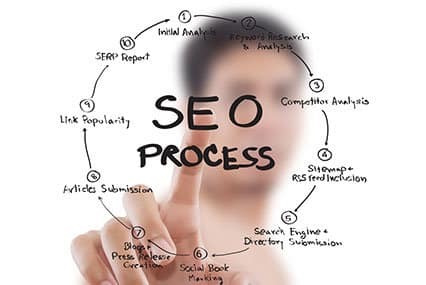 If you think you’d need help in this area, make sure to get in touch with a reliable SEO company Sydney. 2018, seems to be a year dedicated to images and videos. With an increase in social media platforms and faster internet speed, there’s a want to look through more images and video from the public. Google has been taking extra care to satisfy this desire and has been working on algorithms to work this feature. It is best that you invest in a web design Sydney service to introduce sufficient images and videos to your website. Your potential client would prefer watching videos or would rather browse through images than read tons of content. One in every five search queries come from the smartphone’s voice search feature and may continue to grow in the coming months and years. As this voice search feature continues to grow, there could be a growth in featured snippets as well. If this really does grow in the future, featured snippets may just top the search engine chart. It’s been years since the mobile platform had been overpowering the desktop platform. It was only natural that Google would shift its focus over mobile-first indexing. This would mean that now Google would rank and create its search engine listing as per the mobile version. How your website operates or functions would also have an impact on your clients stay time. If your website take a little more than 3-seconds to load, consider losing your potential client right there. This would also have an impact on the search engine. Not only would your website need to be user-friendly but it would also need the right design, engaging content and information architecture in place. Long tail keywords entail a maximum of three keywords which are specific to the topic and less generic. For example, the word ‘Tea’ comes across generic but if the phrase, ‘Home tea maker’ is used instead, it would stand out at the search engine and even improve your brand’s ranking. When you search for something on Google’s search box, the list of options that follow within the box, is the quick answer box. It is important that you consider using phrases such as, ‘How’, ‘Where’ and ‘Why’ to have your article show up on the search engine list.